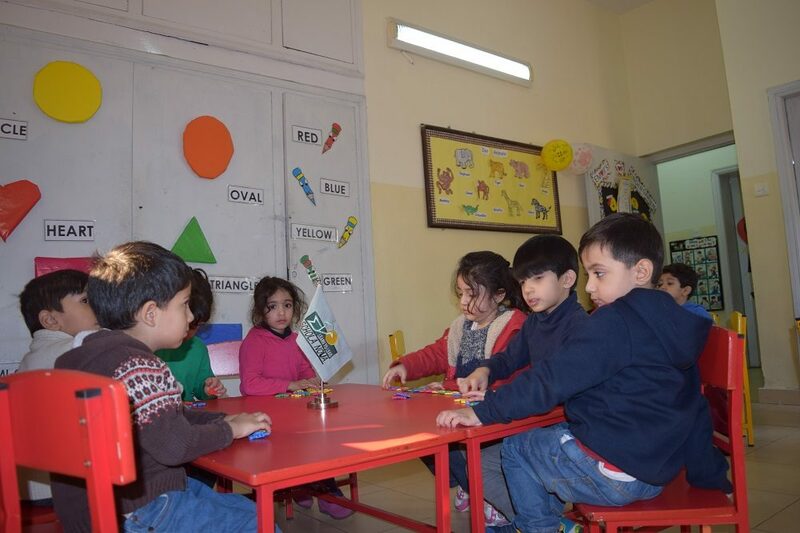 These years are not as difficult for the child as they are for the parent; hence we work on increasing adaptability and acceptance in the child through fun activities and group learning. 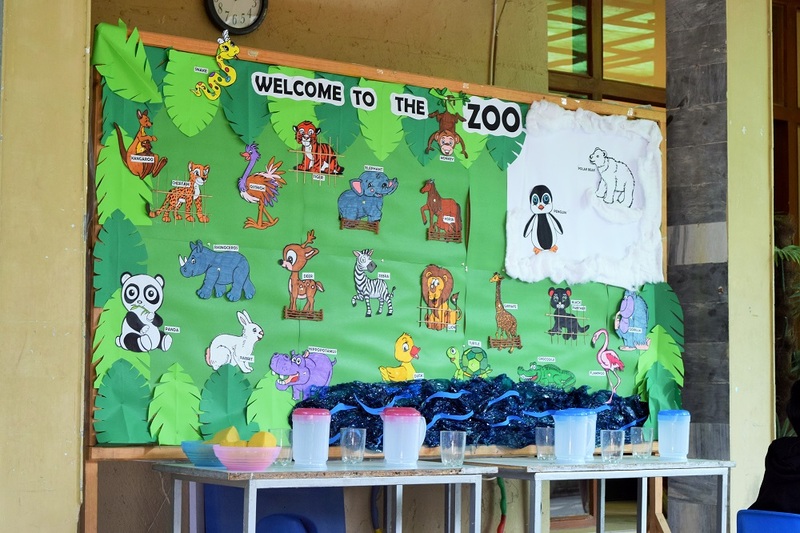 This is where the child learns to share his/her space, get familiarized with what a routine is and also learns the basics necessary to move on to elementary school. We use the Oxford Reading Tree to develop our student's reading skills. What is your Child’s future? That is the first thought that comes into the mind of the parents. Our Pre school focuses on hands-on learning where children are given opportunities to learn and develop through exploration and play .Our teachers are trained in areas where support is needed for each child and building activities around these.Research reveals relationships between children and teachers are the highest indicators of student success. .At Schola Nova, teachers build strong relationships. There are strong interactive sessions with students and teachers all the time; children are engaged in rich experiences that spark their vocabulary. 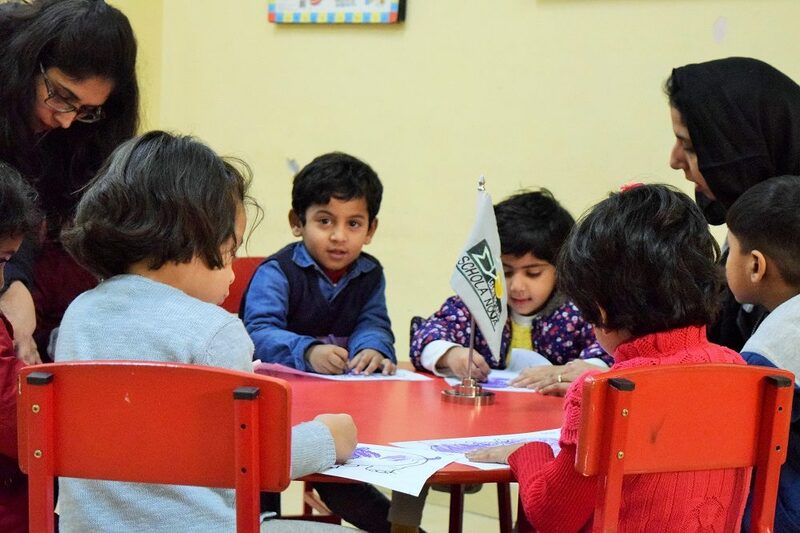 The Pre School curriculum nurtures the child’s interest in the English language and helps them to be well prepared for Elementary classes .Come see us for yourself, and experience our warm, welcoming and nurturing environment. Learning + Play = Success. 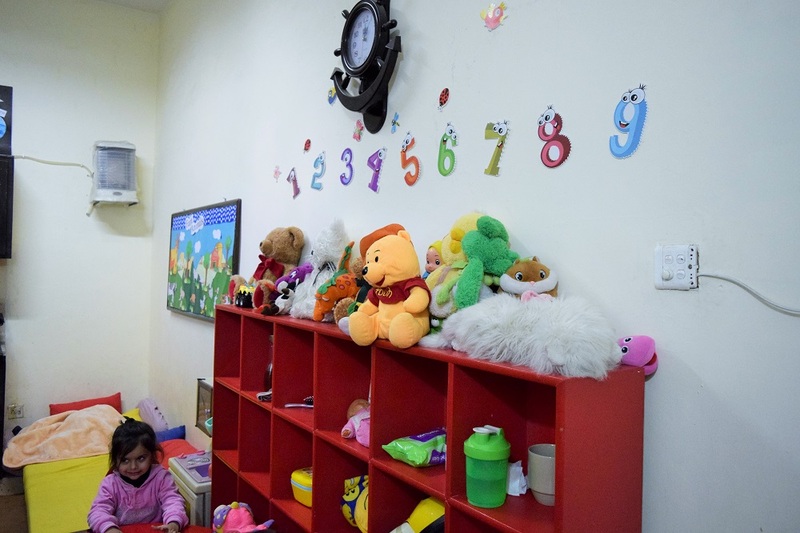 Daycare provides a warm and welcoming environment for babies. Staff members focus on giving babies happy, secure and stimulating environment. Personalized care is given to each infant based on his/her daily routine. Inquisitive babies are provided with interesting and fun activities to keep their busy mind and bodies active . 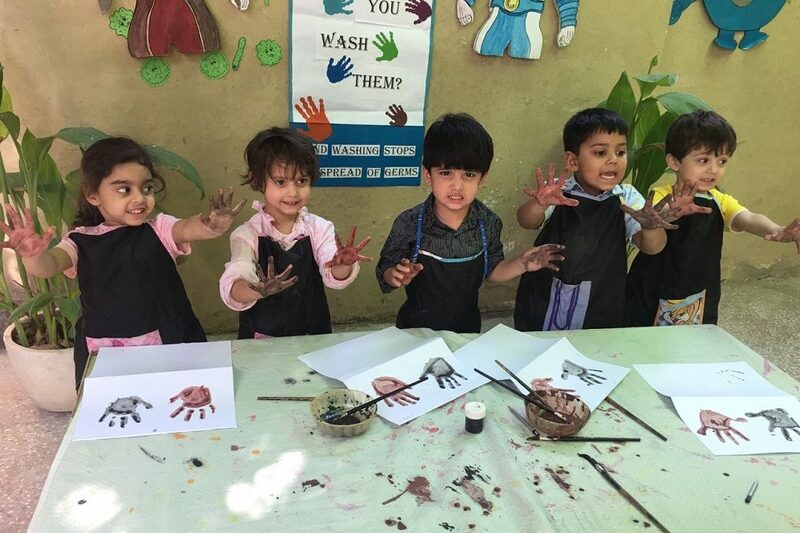 Children in Playgroup use hands-on exploration and social interaction in safe, engaging surroundings to help learn about his or her expanding world. Toddlers enjoy learning experiences that promote their blossoming independence and social skills, and foster self-confidence. Experienced and trained teachers promote emotional, physical, social, and intellectual development in a fun, engaging environment where active and enthusiastic children can refine and expand their skills and knowledge. The teachers ensure preschoolers have joyful, appropriate, and meaningful learning experiences that lead to success in future. Our students have an exciting opportunity to learn and experience a wide range of activities in a rich environment. Students make independent choices in a child-centered learning environment, following well-established routines to guide them. 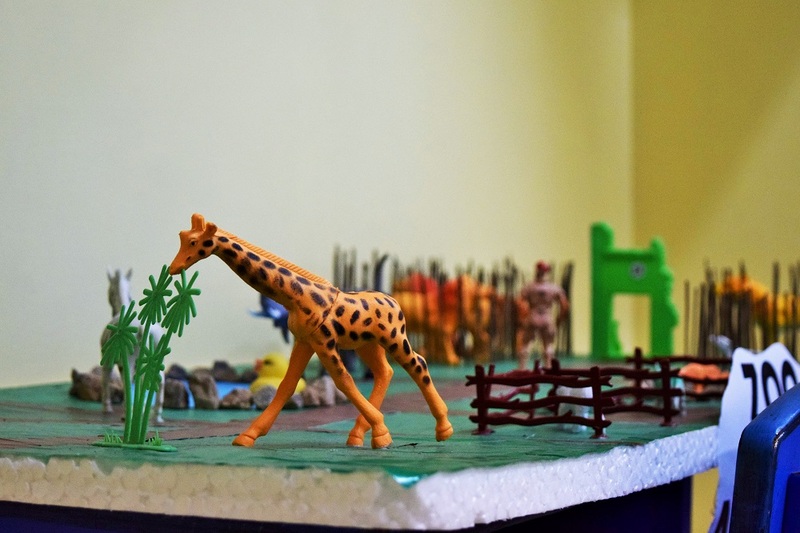 Teachers support and encourage students to be imaginative, energetic learners who explore the classroom environment with curiosity and purpose. 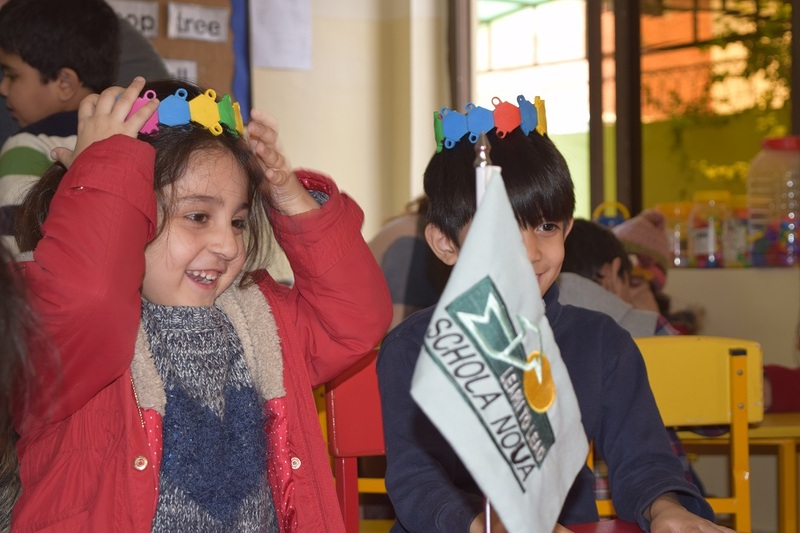 Students are eager to learn, and school activities are designed to involve and engage these young students with interesting activities and materials. Experienced teachers plan and provide monthly theme based activities in math, language, literacy, phonics, knowledge and understanding of the world, art, music, and movement to thoroughly prepare children for a smooth transition to kindergarten. Students are allowed to grow through play and real-world experiences. 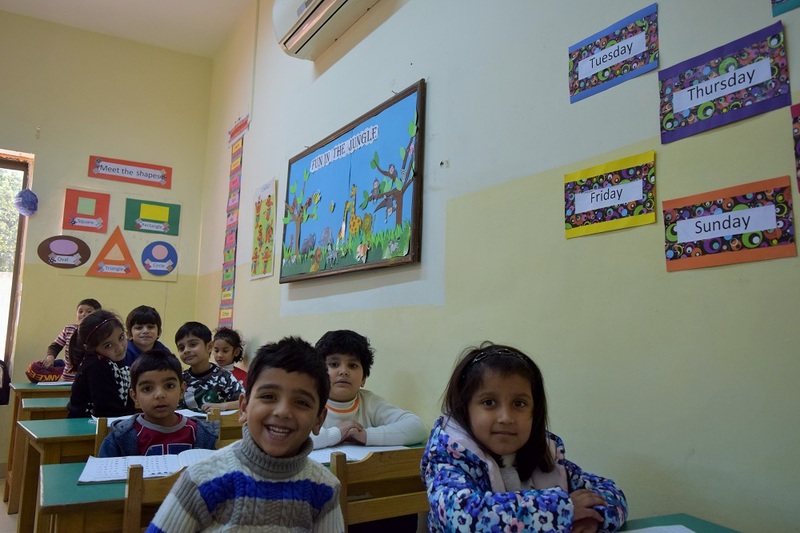 Daily activities are planned to promote and build students confidence. Students engage in conversations with teachers and friends daily, learning to take turns, listen, and share. 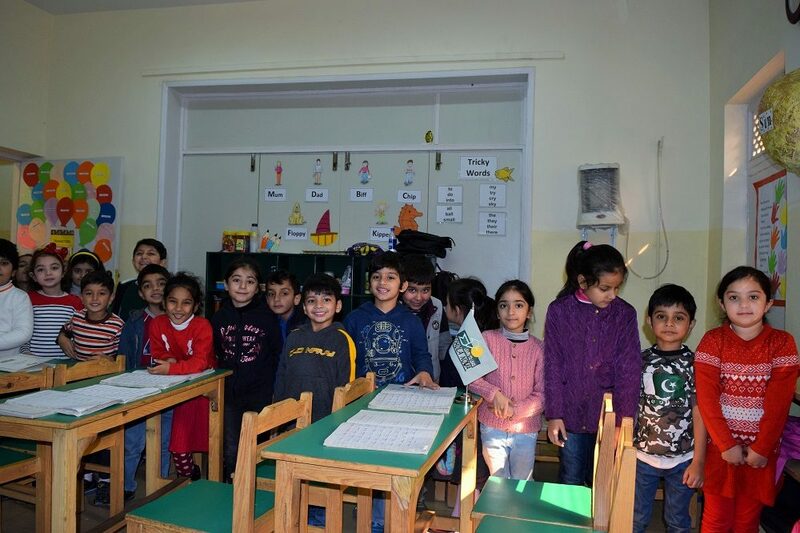 Students are now ready for more structured areas of learning including reading, writing, math, phonics, arts & crafts, science, language, knowledge and understanding of the world. A great deal of emphasis is given to students on becoming confident and independent readers .Throughout the year teachers provide students with the skills to become lifelong learners. 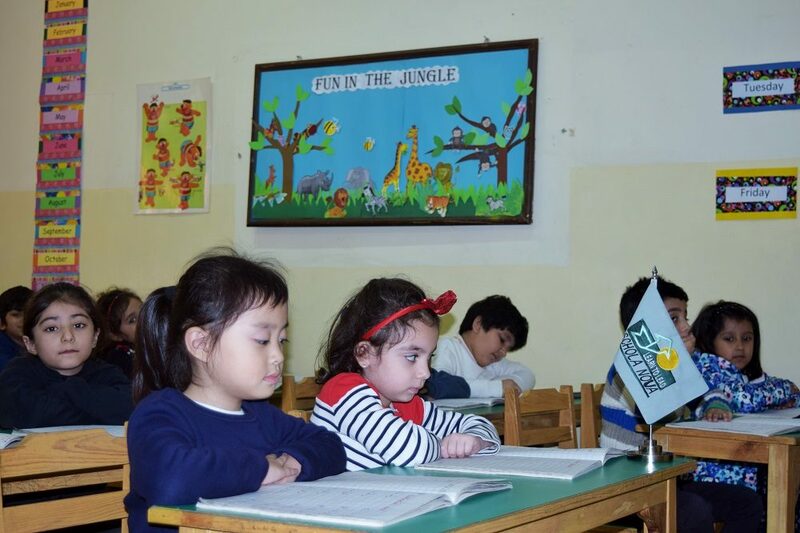 Students continue to develop advanced language skills, math skills, reading and writing abilities, science, social studies as well as in other essential areas such as art, social and emotional development. Our child-centered approach ensures that children are exposed to a diverse array of learning activities and that they thrive in all areas of child development, creative thinking, problem solving, empathetic collaboration, curious investigation, and decision making. 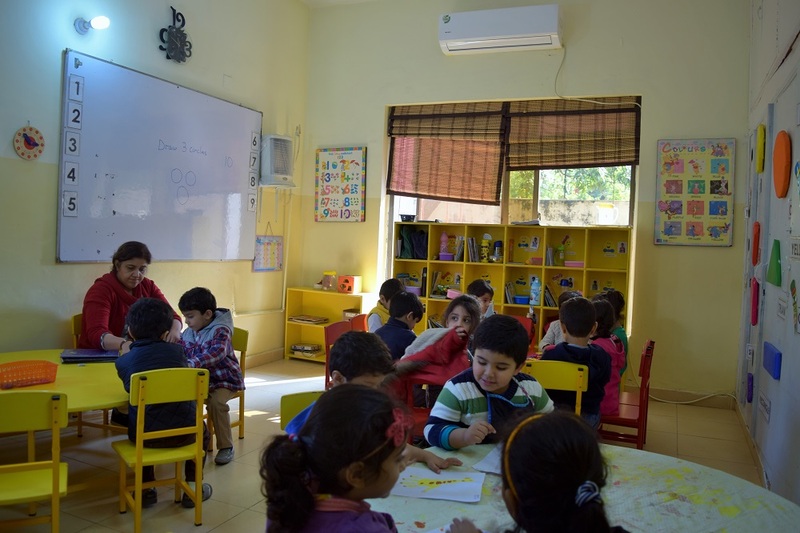 This learning environment makes a successful and seamless transition to school.